A solid batting performance from Ryan Rickelton, Jonty Rapulana and Temba Bavuma enabled the bizhub Highveld Lions to post an impressive 330 for six in their Momentum One-Day Cup match against the Hollywoodbets Dolphins, which was played at Senwes Park, Potchefstroom, on Saturday. But it was all in vain as the weather denied the Lions a result for the fourth time this season. The two points garnered for the no result ensured that the Durban-based side will get a home semifinal. Prior to going into the match both teams knew it was a must-win game. However, the cricketing gods had the last say. The home side, after losing the toss, were invited to take first strike, a decision that could have backfired on Dolphins' captain Dane Vilas and so it did, as the team based in Johannesburg scored 330 for six - their second score over three hundred in as many games. The men from Surf City failed to get the ball rolling in the chase, losing the wicket of prolific scorer Vaughn van Jaarsveld in the fifth over of the game, caught and bowled by Bjorn Fortuin. In the middle of the tenth over a typical Highveld storm hit the town with the visitors on 39 for one. The players eventually shook hands just before just before 8:30pm CAT (SA, GMT+2). Earlier, the home side, with everything to gain and nothing to lose, started their innings enthusiastically, but it did not go well as they lost Dominic Hendricks (0), in the first over. The the opener completely misread an Eathan Bosch delivery, got a leading edge, and Khaya Zondo took a brilliant diving catch at mid-off. However, after their earlier misfortune, Rapulana and Rickleton settled the nerves with an second-wicket partnership of 158. The breakthrough came off the last ball of the 26th over, when Sibonelo Makhanya induced Rapulana (69 off 64 balls, including 6x4,2x6) to go for the big hit, but he only found Bosch patrolling the long-off boundary. The score, 158 for two. Rickelton went to his maiden List A century off a run-a-ball, but his devil-may-care attitude eventually accounted for his wicket; trying to smash Okuhle Cele, he was caught on the long-on boundary by the ever-alert Bosch, his 153-minute 126 off 111 balls included 10 boundaries and five sixes crashed to all points of the compass. Temba Bavuma picked up the gauntlet and took the game to the Durban-based side. The Lions captain, aware that his side needed a big score in order to make the last four, smashed and bashed his way to a 62-ball 64 (2x4, 3x6), before falling to a brilliant one-handed catch by Bosch, yes, you guessed it, on the long-on boundary to hand Cele his third scalp. The 21-year-old bast bowler claimed his fourth victim, Wiaan Mulder for 41 in the final over. Cele ended up with figures of 9-0-79-4. LIONS: Dominic Hendricks, Kagiso Rapulana, Temba Bavuma (capt), Wihan Lubbe, Wiaan Mulder, Nicky van den Bergh(wk), Delano Potgieter, Bjorn Fortuin, Malusi Siboto, Nandre Burger, Aaron Phangiso. 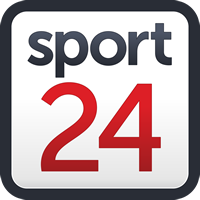 DOLPHINS: Vaughn van Jaarsveld, Sarel Erwee, Marques Ackerman, Dane Vilas(wk), Khaya Zondo (capt)), Sibonelo Makhanya, Senuran Muthusamy, Keshav Maharaj, Eathan Bosch, Okuhle Cele, Prenelan Subrayen.